CAIRO — The only reason Egypt has even existed from ancient times until today is because of the Nile River, which provides a thin, richly fertile stretch of green through the desert. For the first time, the country fears a potential threat to that lifeline, and it seems to have no idea what to do about it. Ethiopia is finalizing construction of the Grand Ethiopian Renaissance Dam, its first major dam on the Blue Nile, and then will eventually start filling the giant reservoir behind it to power the largest hydroelectric dam in Africa. Egypt fears that will cut into its water supply, destroying parts of its precious farmland, hampering its large desert reclamation projects and squeezing its bourgeoning population of 93 million people, who already face water shortages. 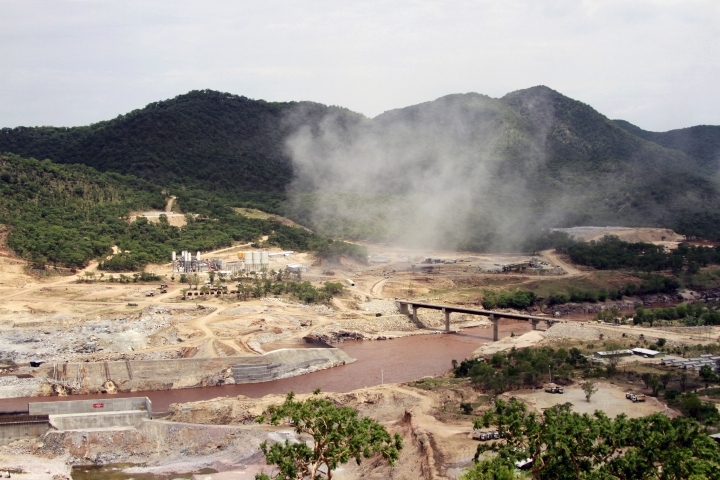 Dam construction on international rivers often causes disputes over the downstream impact. But the Nile is different: few nations rely so completely on a single river as much as Egypt does. 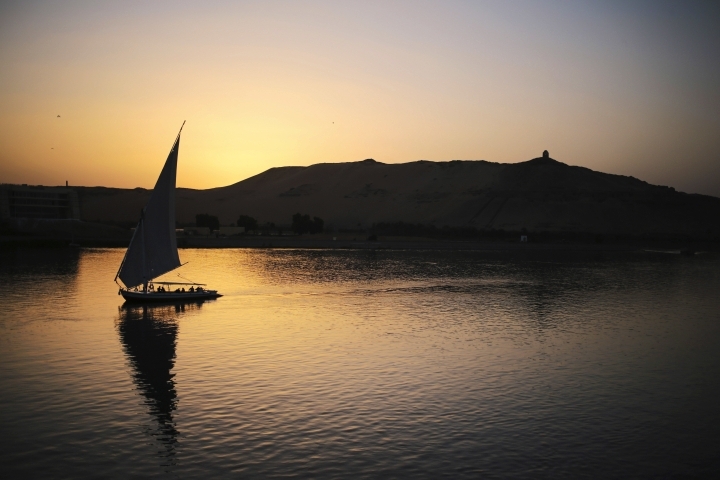 The Nile provides over 90 percent of Egypt's water supply. Almost the entire population lives cramped in the sliver of the Nile Valley. Around 60 percent of Egypt's Nile water originates in Ethiopia from the Blue Nile, one of two main tributaries. Egypt barely gets by with the water it does have. Because of its population, it has one of the lowest per capita shares of water in the world, some 660 cubic meters a person. The strain is further worsened by widespread inefficiency and waste. With the population on a path to double in 50 years, shortages are predicted to become severe even sooner, by 2025. 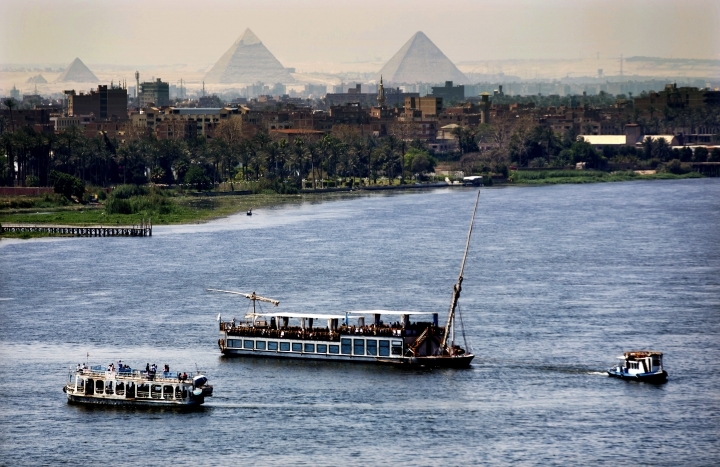 That is despite the fact that Egypt already receives the lion's share of Nile waters: more than 55 billion of the around 88 billion cubic meters of water that flow down the river each year. It is promised that amount under agreements from 1929 and 1959 that other Nile nations say are unfair and ignore the needs of their own large populations. Complicating the issue, no one has a clear idea what impact Ethiopia's dam will actually have. 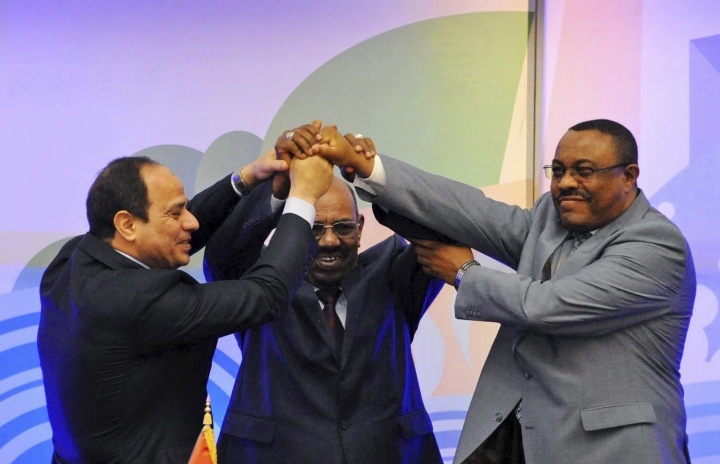 Addis Ababa says it will not cause significant harm to Egypt or Sudan downstream. Much depends on management of the flow and how fast Ethiopia fills its reservoir, which can hold 74 billion cubic meters of water. A faster fill means blocking more water at once, while doing it slowly would mean less reduction downstream. Once the fill is completed, the flow would in theory return to its previous levels, but the fear in Egypt is that the damage from the fill years could be long-lasting or that Ethiopia could build more dams and hold Egypt hostage by continuing to reduce the flow. One study by a Cairo University agriculture professor estimated Egypt would lose a staggering 51 percent of its farmland if the fill is done in three years. A somewhat slower fill over six years would cost Egypt 17 percent of its cultivated land, the study claimed — still a catastrophic scenario that would hit the food supply and put tens of thousands out of work in a country where a quarter of the work force is employed in agriculture. 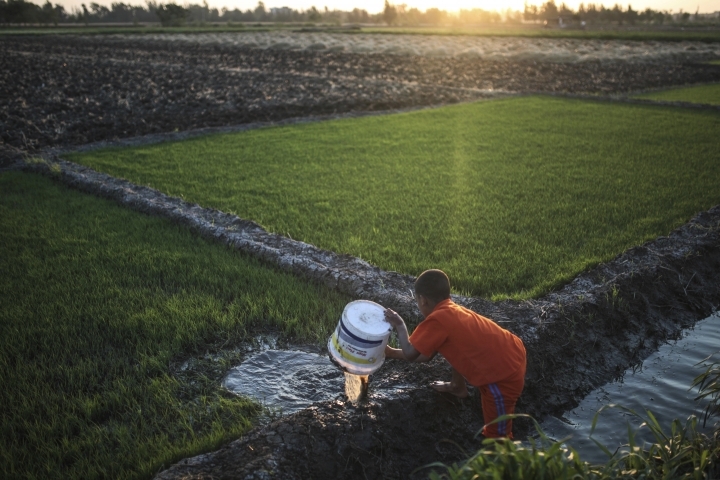 Internal government studies estimate that for every reduction of 1 billion cubic meters of water in Egypt's supply, 200,000 acres of farmland will be lost and livelihoods of 1 million people would be affected, given that an average of five people live off each acre, a senior Irrigation Ministry official said. He spoke on condition of anonymity because he was not authorized to discuss the figures. Other experts say the impact will be far smaller, even minimal. They say Egypt could suffer no damage at all if it and Ethiopia work together and exchange information during the filling of the reservoir, adjusting the rate to ensure that Egypt's own massive reservoir on the Nile, Lake Nasser, stays full enough to meet Egypt's needs during the years of the fill. Unfortunately, that isn't happening between the two countries, whose ties have often been deeply strained. "To my knowledge, this situation is unique, particularly at this scale," said Kevin Wheeler at the Oxford University's Environmental Change Institute. "I just can't think of another case that has two large reservoirs in series without a plan on how to operate them together." Construction on the dam is around 60 percent complete and is likely to be finished this year or early next. Ethiopia has given little information on when it will start the fill or at what rate. It is pushing ahead with construction without waiting for an independent study on the impact that it, Egypt and Sudan agreed to under a 2015 Declaration of Principles agreement. "We have taken into account (the dam's) probable effects on countries like Egypt and Sudan," Ethiopia's water, irrigation and electricity minister, Sileshi Bekele, told reporters in Addis Ababa. He added that plans for the filling process could be adjusted but did not elaborate. A joint Ethiopian-Egyptian-Sudanese committee has met 15 times over the past two years, most recently this month, trying to implement the Declaration of Principles. Under that deal, they committed to abide by the impact study and agree on a plan for filling the reservoir and operating the dam. But though the deadline to complete it has passed, the study has hardly begun, held up by differences over information sharing and transparency. In public, Egyptian officials have said both governments are cooperating. But the frustration is starting to show. In June, Egyptian Foreign Minister Sameh Shukri spoke of "difficult talks" and complained of delays in the impact study. He warned that unless Ethiopia addresses Egyptian concerns, Egypt will search for an alternative path, though he did not elaborate. The irrigation official said that Egypt is trying to build international pressure on Ethiopia. 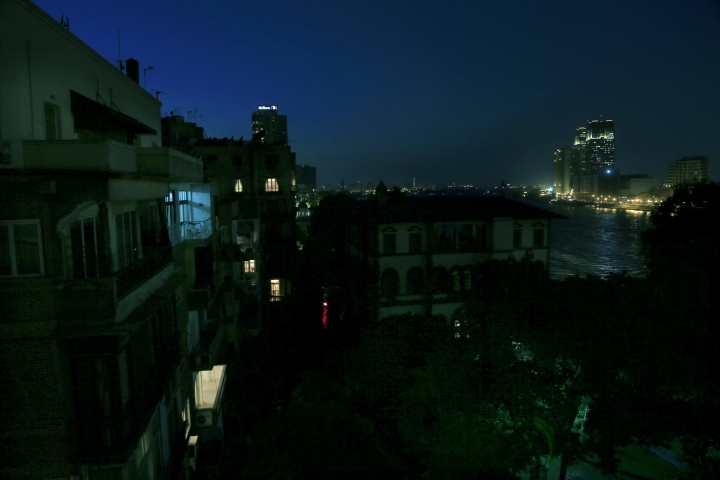 A high-ranking government official acknowledged there's little Egypt can do. "We can't stop it and in all cases, it will be harmful to Egypt," he said. A senior diplomat involved in the negotiations only shrugged. "We can only wait and see," he muttered. Both spoke on condition of anonymity because the talks are still ongoing. Egyptian leaders in the past have rumbled about military action to stop any dam. Recently, Ethiopia accused Egypt of supporting rebels caught trying to sabotage the dam, and there are also accusations that Egypt is setting up a military base in Eritrea to carry out an attack — all claims denied by both Egypt and Eritrea. A military option seems less likely after the 2015 accord in which Egypt agreed to cooperation. International law also provides little recourse. International charters spell out broad principles on managing rivers, saying waters should be shared in an equitable way and one country's projects on a river must not cause "significant harm" to another. But it is largely left to the riparian countries — those along the river — to work out the details. The 2015 accord committed Egypt to resolve differences in negotiations, and while it can seek outside mediation, all parties would have to consent. Originating in Ethiopia, the Blue Nile flows into Sudan, where it joins with the White Nile, whose source is Lake Victoria in east Africa. From there it flows north through Egypt to the Mediterranean. For Ethiopia, the $5 billion dam is the realization of a long-delayed dream. Ethiopia's infrastructure is among the least developed in the world, leaving the vast majority of its 95 million people without access to electricity. The dam's hydroelectric plant is to have a capacity to generate over 6,400 Megawatts, a massive boost to the country's current production of 4,000 Megawatts. The longer it takes to fill the reservoir, the longer Ethiopia has to wait for the benefits, meaning lost growth. "If everybody is working together, if there is trust, it is possible to have win-win," said Kenneth M. Strzepek, professor of water resources engineering and economics at the University of Colorado at Boulder. He believes that even in the worst case scenario, damage to Egypt's economy will not be huge. "But you will hurt people," he said. "If you reduce the flow, you hurt the farmers." 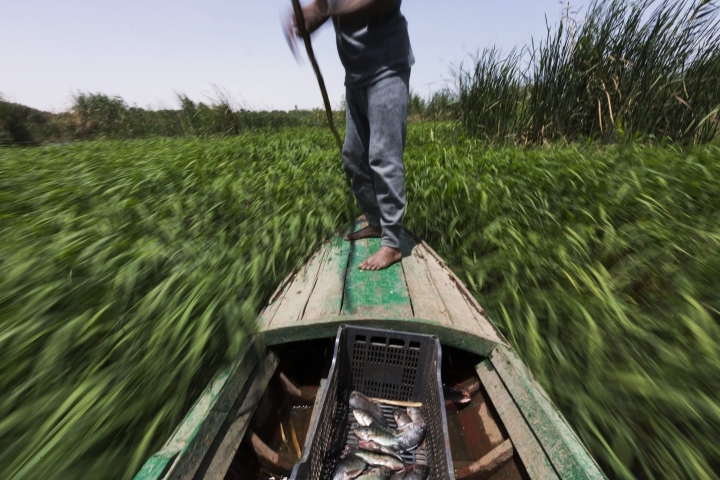 Over 80 percent of Egypt's water goes to agriculture. Any blow could resonate hard in Egypt. The country is already undertaking a painful reform program of austerity measures that have hiked inflation in a bid to rebuild an economy deeply damaged by years of turmoil. At the same time, Egypt uses its water with chronic inefficiency. Nearly a third of the around 9 billion cubic meters of drinking water is wasted each year because of old, dilapidated pipes and distribution networks, according to the official statistics agency. Farmers irrigate their fields by flooding, increasing water loss. The government has been reluctant to incorporate more efficient sprinkler or irrigation systems into the national water plan because of the cost. Among Egyptians, there are bitter accusations that Ethiopia is acting unilaterally. "Ethiopia wants full control over the Nile. It doesn't want to abide by any deals," said Hani Raslan, a Cairo-based expert in African affairs. "Egypt is fed up," he said. "When the fill-in starts, there will be grave dangers." But some critics say Egypt only has itself to blame because of its own high-handedness in the past. Egypt and Sudan, which also gets a large share of the Nile waters under past accords, traditionally rejected pressure by other nations to get a fairer distribution of the water. In 1999, the countries established the Nile Basin Initiative as a forum on the river's use. Egypt and Sudan walked out of the talks, demanding their "historic rights" be recognized. The boycott backfired. The other nations went ahead, creating their own Cooperative Framework Agreement in 2010 and throwing support behind Ethiopia's dam. Sudan and Egypt remained hold-outs. After coming to office in 2014, Egyptian President Abdel-Fattah el-Sissi took a new approach, visiting Sudan, Ethiopia and other upstream nations and talking of diplomatic solutions. Egypt then signed the 2015 Declaration of Principles. For the first time, it made no mention of its past water shares. Critics said it had gone too far in the other direction and had surrendered its rights. Salman Salman, a Sudanese water expert, said Egypt ignored past opportunities to work together with Ethiopia. 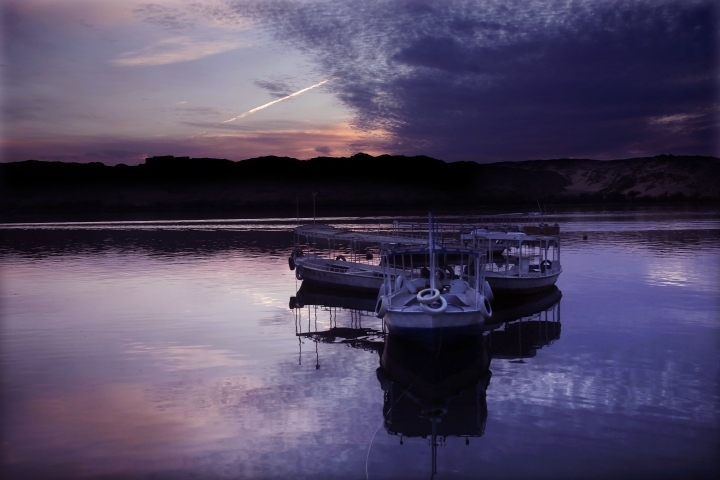 "There is this arrogance (in Egypt) and the feeling that this is our river and no one can touch it," he said. Now Egypt is isolated, and Ethiopia is dragging its feet over cooperation — just as Egypt did in the past. "Egypt is no longer the dominant force along the Nile," Salman said. "Ethiopia is replacing it." Associated Press writers Sam Magdy in Cairo and Elias Meseret in Addis Ababa, Ethiopia, contributed to this report.